Detainees cleared for release fear the Trump administration, which is all but certain to continue indefinite detention. In July 2002, US military forces raided a compound in Logar Province, Afghanistan, looking for a suspected fighter who went by the alias Abdul Bari and had ties to an Al Qaeda bomb maker. They found an Abdul Bari, who had in his possession “samples of unknown substances…including a white powder, that were initially believed to be chemical or biological agents,” according to a February 2015 intelligence report. That man was then sent to the prison at Bagram airbase, and later that year transferred to Guantánamo Bay, where he remains today. 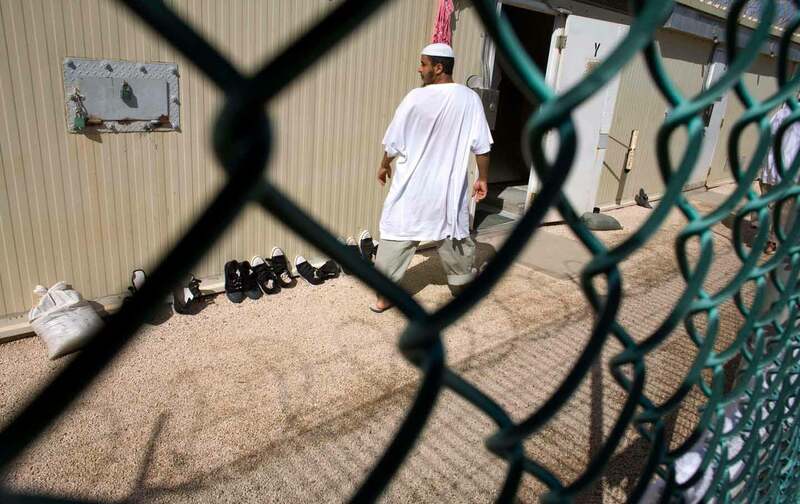 Yesterday, the Obama administration announced the transfer of four detainees to Saudi Arabia. That leaves 55 prisoners, 19 of whom have been cleared for release. The administration has all but conceded that it will fail in its efforts to shutter the prison, and even if every detainee cleared for transfer is released, the detention facility will continue to hold nearly 40 men. Although Zahir has been cleared for transfer, the specifics of where he might go, and when, are not available for public release, according to Thomas. In addition to his two wives, Zahir has three sons, who were 5, 3, and 1 and a half years old when he was abducted. “He is hopeful he’ll be able to go to a country where he can be reunited with his family, and provide for their needs, and attend university,” says Thomas. At one point, Zahir was charged in the Guantánamo legal system—called military commissions—with throwing a grenade at coalition forces, though those charges were ultimately dropped without explanation. “What I can tell you is that had we gone to trial, we were prepared to rebut them strongly,” says Thomas. Beyond the nightmarish limbo that Zahir is in, it is all but certain that indefinite detention at Guantánamo Bay will be a feature of the Trump administration, virtually codifying it as a permanent aspect of the US national security state. Beyond Trump himself, the president-elect has surrounded himself with pro-Guantánamo figures, from National Security Adviser Michael Flynn to CIA-head-in-waiting Mike Pompeo. Yesterday, a Trump transition-team member said the president-elect will name recently-retired senator Dan Coats as his pick for director of national intelligence. In that role, Coats will be responsible for yearly reports on the possibility of reengagement among Guantánamo detainees, reports that could be used to justify indefinite detention. When Coats ran for Senate in 2010, he characterized his opponent as having voted to close Guantánamo in hopes to “move terrorists to the U.S. where they could have the same legal rights as Americans.” That statement, coupled with Coats voting records, suggests that as Director of National Intelligence he will support Guantánamo’s flawed legal system as the best venue for trying accused terrorists, despite all available evidence that regular civilian courts are better in every conceivable metric. John KnefelTwitterJohn Knefel is an independent journalist covering national security and civil liberties. He is also the co-host of Radio Dispatch, a daily political podcast.